Jeanne de Salzmann was one of the main disciples of G.I. Gurdjieff. 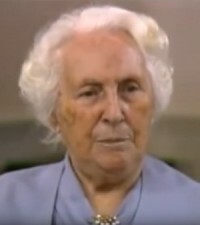 She was responsible for transmitting his teaching through the Gurdjieff Institute of Paris, the Gurdjieff Foundation of New York City, the Gurdjieff Society in London and the Fundación Gurdjieff of Caracas, which she founded or helped founding, as well as other formal and informal groups throughout the world.